﻿ What is Voice Over Internet Phone Service? Voice and video can be transmitted over the same internet to another person's phone, cell phone, voip equipment or computer. Choose a VoIP hardware phone (looks like a business phone) or VoIP device (works with your old phone) or softphone (works with your computer) or mobile dialer (works with your cell phone) that best fits the way you connect to the Internet. Pick a Globalink Worldkom Reseller calling plan and once the device is installed you can simply pick up the phone and dial any regular number. Our reseller plan allows you to create your own sub customers so they can make calls and pay you for your service. You can setup your own calling rates and provide them their own web control panel login. 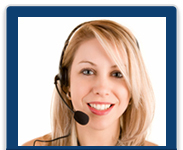 You can also use our softphone, voip phone, calling card and call back services worldwide. VoIP is a great way to use your Internet connection and make low cost calls to anyone any where in the world. Anyone on our service can call each other for FREE. This is called On Network calling. This is also ideal for businesses that need to call their branch offices worldwide without having to pay extra!! A call to Kuala Lumpur from Sydney is free as long as both devices are connected to our phone service.